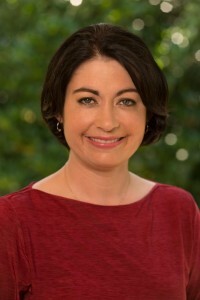 Terri Butler was endorsed in December as Labor’s candidate for the federal seat of Griffith in the upcoming by-election. The seat, previously held by Kevin Rudd, includes the suburbs of Balmoral, Bulimba, Hawthorne, Morningside, Norman Park, Seven Hills, Camp Hill, Carina Heights, Coorparoo, Greenslopes, Highgate Hill, Woolloongabba and sections of Cannon Hill, Carina, Holland Park, Holland Park West, Mount Gravatt East, Murarrie, Tarragindi, and West End. Terri is an employment lawyer. She lives on the border of Morningside and Cannon Hill. While born in North Queensland, she has lived on Brisbane’s Southside for almost all of her adult life. I asked Terri about her political background, motivations and what she likes about where she lives. “A desire to speak out, and be a strong voice for my community, has led me to stand for Griffith,” Ms Butler says. She’s had some diverse jobs in the earlier days when she was balancing study and work, including being a checkout operator at Coles, providing administrative support in a city engineering firm, and working at an aluminium factory. “These helped to reinforce the strong work ethic that my parents had instilled in me from a young age,” she said. Terri says she’s focusing on the issues that locals are raising with her. “People are very concerned about the proposed GP tax and the impacts it would have on working families. That’s why I will be working hard throughout this campaign, and if I am elected, to fight for against policies that undermine our universal healthcare system,” Terri says. She says inequity in access to high-speed broadband is another local issue and that there are concerns about what she describes as “Abbott’s second-rate broadband plan”. LNP backflipping on education funding, access to quality childcare and aircraft noise are also high on the agenda to be addressed she states. I asked Terri how she is engaging with Griffith residents during the election campaign. “Labor’s volunteers are working on this campaign because they strongly believe in what we stand for – a fair go for the people of Griffith. And they’re working alongside me to engage with people as much as possible. “Together, we’re finding every opportunity we can to speak to people. We’re doing street stalls, meeting and greeting people at train, bus and ferry stops, making phone calls, speaking directly with local businesses, sending letters, and attending community meetings, among other things. Terri and her husband love taking their kids to local parks and she says Colmslie Beach Reserve and Bulimba Memorial Park are particular favourites. When they occasionally get a night out together, her and husband like to go to Cinco at Camp Hill.